For good or ill, Facebook is opening up its Instant Articles programme to all publishers on April 12, after a year of advance testing it on a handful of media giants. In theory any media organisation, big or small, will now be allowed to host content directly on Facebook instead of posting links on posts that take readers back to their own sites. Facebook’s Instant Articles open up substantial opportunities for new advertising income and offers significant expansion in speed and access on mobile devices, where new media audiences are massively growing, especially in the developing world. To Emily Bell, Director at the Tow Center for Digital Journalism at Columbia Journalism School, ‘platform-driven news‘ is just one more industry earthquake. “Our news ecosystem has changed more dramatically in the past five years than perhaps at any time in the past five hundred,” she told a Cambridge audience of experts this month. She’s right, but I need to ask. Our news ecosystem? Or hers? 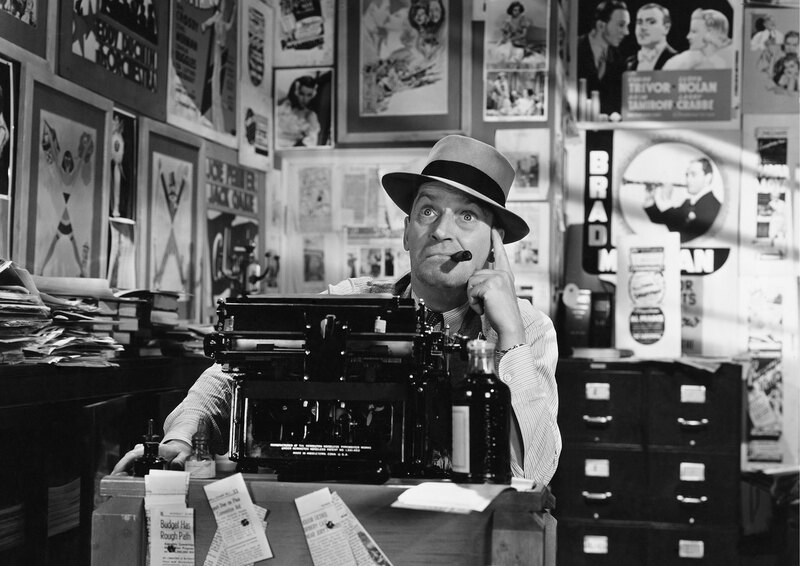 As journalists we are all in the same rocking technological boat, but as publishers, no. Bell says the social web enables reporters to do powerful work, but it’s making the business of publishing journalism “an uneconomic venture”. This is true, but for the community, activist and independent publishers we work with in conflict and post-conflict states, journalism has always been an “uneconomic venture”. The typical sites we work with can score 60-45k plus Facebook page followers and around a million uniques a month. Not bad, but conventional online advertising from this kind of traffic is unlikely to cover more than a fraction of costs. Many of these sites are regularly targeted, legally and illegally. Officials warn local advertisers off from using them. They lack investment to lighten bandwidth loads and go mobile-responsive where audience growth is strongest. Their political enemies bribe telecoms engineers to throttle down traffic speeds, costing it readers as impatient browsers click to other sites. Until recently these sites might have benefited from a small share of the 377 million dollars or so spent yearly on international media development and media rights, the cut of global foreign aid that benefits the independent media in recognition of its contribution to open participatory democracy. The agenda has changed. The developing world’s media is increasingly expected to accept project briefs rather than investment. Their role is to field information on economic development, challenge states on gender and child rights, and confront the corruption the international community itself can’t face down. This is honourable work, but a truly independent media is not easily instrumentalised for any purpose, even a good one. Some are the spiritual heirs of the ‘muckrakers’ of pre-WWI American journalism. Others are digital activists or creative artists who don’t fit conventional development aid categories. Reform minded, agenda driven, hungry for viral scoops, suspicious of mainstream media ‘objectivity’ they are often poorly regarded by media elites at home and abroad. Publishers in aid recipient countries need to work around market failures more directly themselves. They can’t wait for the aid system to come to their assistance. Bell and the mainstream western media may regard social media publishing with suspicion, but many publishers may have little choice but to take the jump. Mainstream platforms like Discover on Snapchat, Google’s AMP or Instant Articles on Facebook, are largely immune from ad blockers, apps that limit the income of mobile web publishers outside these platforms. But they are also more resistant to state censorship. Few states take the step of blocking Facebook (some do though). And as has been observed, to a large number of new adopters of mobile apps, especially in the developing world, Facebook is the internet. Or at least its primary function. So what are the pros and cons of taking the Facebook shilling? The Facebook algorithm, backed by human feedback, has quietly become “terrifyingly good at identifying and grouping news stories,” says Gabriel Stein, “that is, collating articles about the same subject and showing each user the one most likely to appeal to them”. If your aim is to appeal to minority, community and specialist media audiences, this could be your edge. A single scoop from a normally under-reported country could, if laced with the right advertising, extract more income from an hour of global trending than it could from a week of low-turnover affiliate online ads. Alternatively, it could be your doom. Under an earlier incarnation of the Facebook algorithm, the viral content aggregator Upworthy used to overwhelm pages with its mix of socially aware centre-left content. Even supporters complained. Facebook ‘fixed’ it, Upworthy slid off most Facebook feeds. The independent media in the developing and post-conflict world is already plagued by spurious court cases called by political enemies to cover censorship. Tax laws, licensing regulations, copyright claims, even city planning bylaws, have all been deployed to that effect. Countries as politically diverse as China and Russia, Egypt and Hungary are all escalating legal action against groups promoting public, pluralistic debate, reports the International Centre for Non-Profit Law (ICNL). Facebook’s suspend first, justify later approach to incoming complaints is ripe for abuse by these kind of states. Onlinecensorship.org seeks to encourage social media companies to operate with greater transparency and accountability toward their users as they make decisions that regulate speech. Their weekly reports on social media censorship echo common complaints; that censorship is fast, but appeals are slow, that there’s no clarity on what is and is not permissible, no consideration of context and limited opportunities to appeal. Facebook’s censors weakly shifts position under pressure, offering to crack down on anti-refugee hate speech in Germany only a few months after resisting calls from Berlin that it proactively police “legitimate debate” on the platform. It floundered over bullfighting posts in Spain. María Eugenia Morón’s short film about political prisoners in La Tumba prison (The Tomb) in Caracas was judged in breach of its terms in Venezuela in December – one of scores of reports suggesting that Facebook’s complaints system is routinely gamed by political censors. It’s also a basic requirement for media development. The sector needs to bring freedom of expression rights back to the forefront of international action to reinforce the contribution of the independent media to public, pluralistic debate. A successful end to the Global Forum for Media Development’s recent campaign to require UN member states to track violence against journalists and the spread of access to information laws would be a genuine achievement. But the media development sector – starting from this May’s UNESCO-led World Press Freedom Day meetings in Helsinki – needs to do more to support the publications that support and protect journalism in this new platform-driven news environment. It should ensure that Facebook and other corporate players acknowledge their extraordinary power to grant or deny sustainability or free speech rights to independent media actors struggling in some of the hardest corners of the world for freedom of expression. Then ensure the corporations act on it.